Spring Breakers meets Lock, Stock and Two Smoking Barrels on the banks of the Thames in this new graphic novel from Ben Aaronovitch! 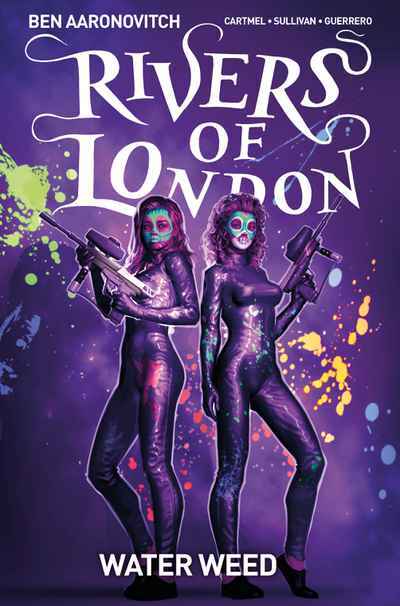 When two of the less well-behaved River goddesses, Chelsea and Olympia, decide to earn a few quid on the side, Peter and Bev find themselves drawn into a sordid cannabis-smuggling operation, controlled by London’s new queenpin of crime - the brutal and beautiful Hoodette! An anthology series of stories featuring Police Constable Peter Grant, his partner, Sahra Guleed, and their associates, as they tackle supernatural crime on the streets of London!